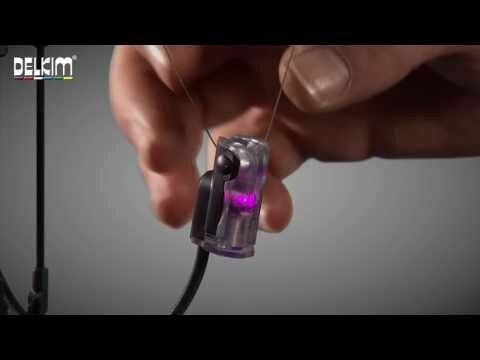 The Delkim Smart Clip is a unique multipurpose line clip for use either as a running clip or, in conjunction with the twin blades, as a fixed clip. 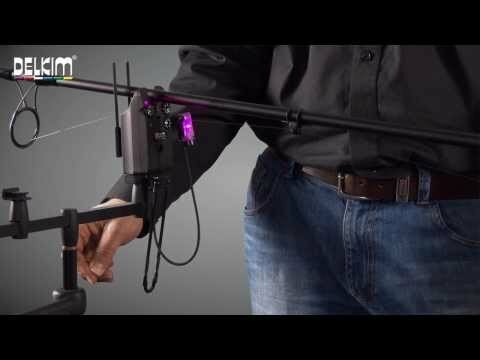 The Smart Clip can be used in numerous different configurations to achieve various effects. 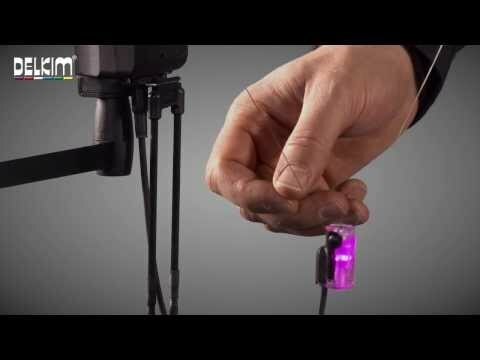 The Delkim Smart Clip is a unique multipurpose line clip for use either as a running clip or, in conjunction with the twin blades, as a fixed clip. By using the Smart Clip the position of the line angle can be changed which will even out the weight of the hanger and maximise your visual indication. Moving the Smart Clip nearer the alarm make the hanger feel lighter and moving it away makes the hanger feel heavier. 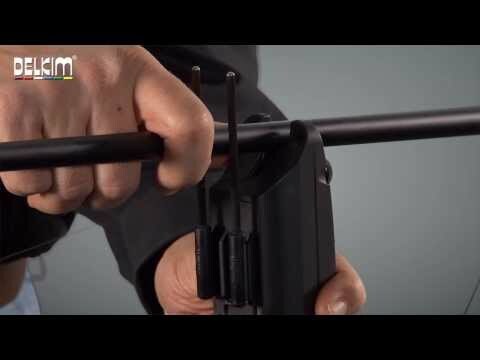 This allow you to perfectly balance your hanger without the need for additional weight. The Smart Clip can be used to allow the line to run freely or be additionally clipped under the blades. Diagram 1 shows the line attached for free running. Diagrams 2-5 show the line additionally clipped under the blades in various ways to give multiple release tensions and effects.